Reverse Mergers, Shelf Registrations, and Special Purpose Acquisition Companies (SPACs). PrivateRaise makes it easy to monitor and research transactions and the entities associated with these transactions. Already a member? Sign-in now. A go-to business development tool for firms interested in monitoring equity and equity-linked private placements, SPACs, and reverse mergers. View more than 15,000+ in-depth placement profiles of PIPEs, 144As, Reverse Mergers, and SPAC transactions. Research deal structures, compare terms, and create optimal pricing for transactions. Target investors active in deals, including contact information, deal history, and preferences. Screen for PIPE candidates in need of capital based upon their cash flow, balance sheet, and income statement criteria. 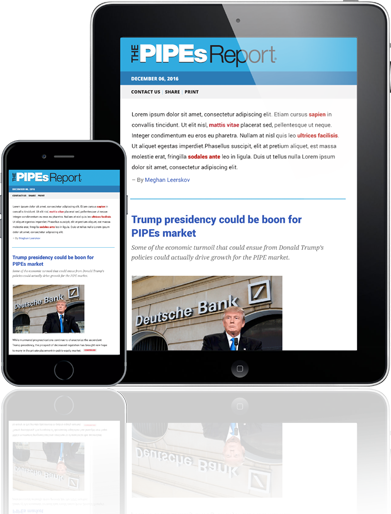 The PIPEs Report is a weekly review of recent news, research, and market data on the activity and developments in small-cap equity finance. PrivateRaise's scope and global reach is unparalleled in the PIPE/SPAC space.